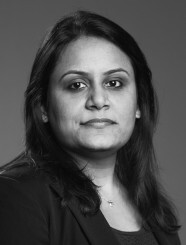 As a Senior Valuation Associate, Ms. Shah assists and advises privately held firms during the Evaluation Phase, by conducting extensive industry and market research and detailed analysis of the firm’s financial statements. She also creates a series of valuation and exit planning reports through a process of gathering data, preparing financial models, and utilizing sophisticated valuation methodologies. Prior to joining Generational Equity, Ms. Shah worked as a financial analyst for an auto group. Ms. Shah holds a Master of Science degree in Finance from the University of Texas at Dallas.